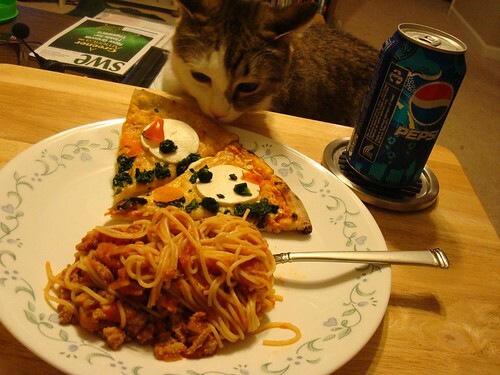 Dinner tonight was kitten approved. Sadly for the kitten, it was not kitten tested. Spaghetti with a ground turkey red sauce and thin crust spinach, tomato, and goat cheese pizza. SOOOOO good. by the way, I have "tagged" you.